Learners from a London school know how to use ladders, hoses and breathing apparatus after a week’s fire training course at London Fire Brigade’s Tottenham fire station. Octagon Alternative Provision Academy students marked the end of their training with a full uniform parade. 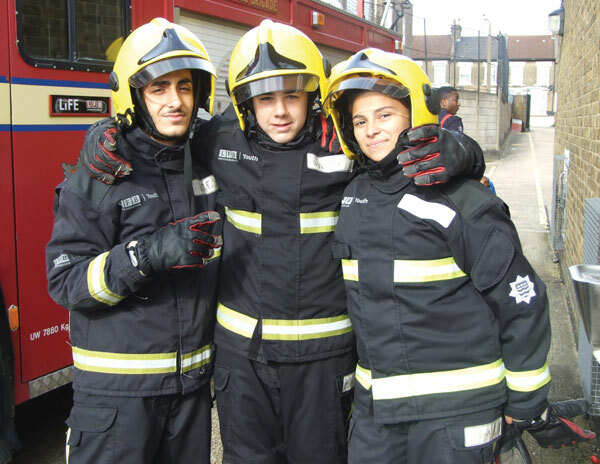 Mason Mustafa, Narimane Rebhaoui and Eren Kocager were presented with training certificates by Peter Wolfenden, Haringey borough commander of the brigade. Mason also received the Jack Petchey Foundation Award for outstanding trainee, voted for by his fellow course students.